If you are pledging to be more active next year, you probably have several reasons for your commitment to start exercising. Maybe your expanding waistline has you worried, or maybe your doctor gave you a stern talking to last checkup. Maybe it’s the stress-busting abilities of a good workout that you’re seeking. 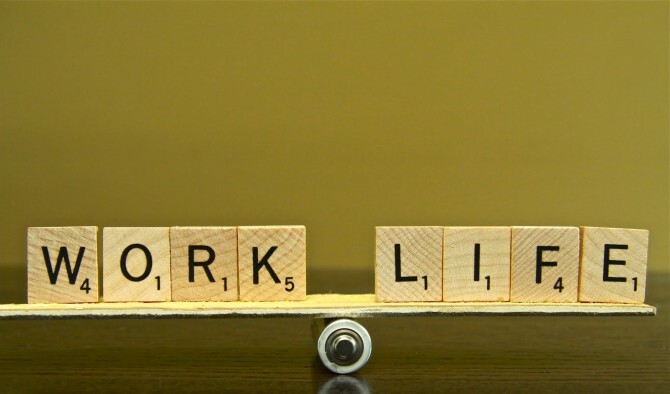 But one reason you’re probably not thinking of is better work-life balance. Hitting the gym is time consuming and can be hard to fit into the busy day of a business owner. There are so many other things you could be doing with those hours, so the last thing most of expect from regular exercise is to make juggling it all easier. First, and least surprisingly, exercise reduces stress, and lower stress makes the time spent in either realm more productive and enjoyable… A reduction in stress is tantamount to an expansion of time. Second, we found exercise helping work-home integration via increased self-efficacy. The term refers to the sense that one is capable of taking things on and getting them done – and although self-efficacy is a matter of self-perception, it has real impact on reality. According to psychologist Albert Bandura, people with high self-efficacy are less likely to avoid difficult tasks or situations, and more likely to see them as challenges to be mastered. Our research suggests that people who exercise regularly enjoy greater self-efficacy, and it carries over into their work and home roles. The fact that working out gives you more confidence to tackle tough tasks is another great reason to keep that gym habit going. But no amount of research, no matter how compelling, changes the fact that fitting in a regular workout is still a challenge for many busy professionals. Clayton may give you a reason to work out, but he’s not offering you a way to make it work. Blog Freelance Folder may be able to help on that front, however. A post aimed at self-employed folks with hectic schedules (and limited budgets) rounds up a dozen free apps that can help you maintain your fitness despite your jam-packed calendar. Some, such as an app from the American Red Cross that offers first aid information in case of an emergency are helpful but not exercise focused, but many, including tools to track your runs, map out a bike ride, or suggest new exercises, are aimed at helping you squeeze an effective exercise routine into your schedule and stick with it.